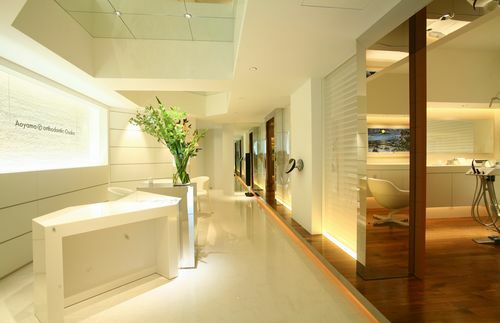 Aoyama r orthodontics OSAKA" is the first clinic in Kansai which specialize in mouth piece orthodontic (invisalign). 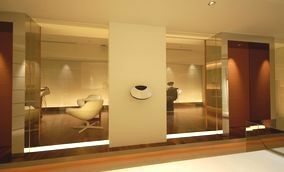 Aoyama r orthodontics (located in Minami Aoyama Minato-ku Tokyo) is known as the worldｓ top level (in 2008〜2011) orthodontics expert in handling invisalign per year. We're always committed to making you feel relax. Our cozy treatment rooms provide you with complete private spaces and time. Many of our clients feel comfortable in the good atmosphere rooms. The total amount for the treatment will be noticed to you before starting. Your teeth will be set straight into perfect condition. Have you had experience having additional fees during your treatment in other clinics? For us, we will not charge you any additional fee so there is nothing to worry of having your treatment expense increased or changed later on. We're constantly studying up-to-date methods to improve our clinic service to ensure customers are always satisfied. If you have any questions or concerns regarding our treatments, please don't hesitate to ask us. By using high quality sterilization process, our customers are protected from any infections. So for a start, please call us for your first appointment and we'll set up your first FREE consultation session accordingly. ・Free initial consultation with participating doctors. No metal wires or bands to irritate your mouth, and best of all, most people won't notice you're in treatment. InvisalignR, the clear alternative to braces, has been chosen by over 1400,000 people who want amazing smiles. Please send us E-mail with your name, address ,phone number, request time and so on.